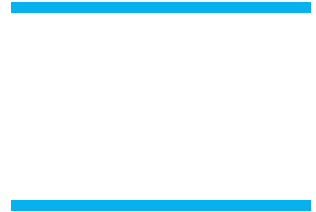 Pizza Chief on Telephone (in the former Albertsons/Haagen Shopping Center) will be hosting a fundraiser for the Buena Track & Field Team. PLEASE PRINT THIS FLYER AND PRESENT WHEN ORDERING (Or present to delivery driver for delivery). 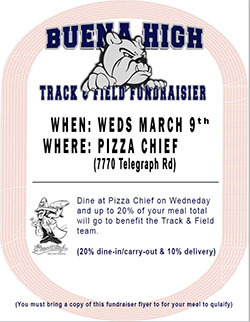 For all customers presenting the flyer on Weds March 9th – Pizza Chief will donate 20% of your total meal for dine-in and carry-out and 10% for delivery orders. (Please be respectful of the business and do not pass the flyers out in the vicinity of the restaurant). But DO print and pass out to family, friends, neighbors and co-workers!